After 8 years, IDC admits Apple's iPad is leading the tablet market "unabated"
While not alone, IDC has prominently constructed media narratives explaining why Apple's iPad can't possibly matter over the last eight years, initially because it didn't run the all-important Microsoft Windows, then because masses of ultra-cheap Android tabletswere portrayed as an insurmountable "market share" diluting force, then because Microsoft itself was entering the tablet market with Detachables, and then because public interest in tablets appeared to be seriously dissipating in favor of more conventional computing devices. Global tablet sales have shrunk YoY for the last fifteen quarters, according to IDC's data. Across just the last year (shown in IDC's quarterly data below), the pace of declining global tablet unit sales has incrementally accelerated from a 5.4 percent drop last fall to 13.4 percent drop this summer. Add in the top five vendors, and the entire global tablet market shrank by 9.2 percent YoY (from 170.1 million to 154.3 million units). Take out Apple's iOS tablets, and the market for Windows and Android tablets looks even worse: a 13.5 percent drop over the last four quarters, from 127.4 million to 110.2 million. 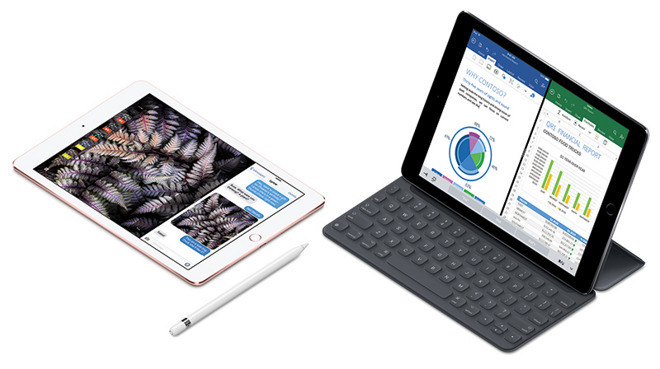 IDC calls iPad Pro a "Detachable" to compare it only against Microsoft Surface units. It's really a larger, premium iPad. Steve Jobs introduced iPad as a new category, not a replacement for Macs.